Mumbai, Feb 7 (IANS) In a major relief to farmers, the Reserve Bank of India (RBI) here on Thursday raised the collateral-free agriculture loans' limit to Rs 1.6 lakh from Rs 1 lakh. 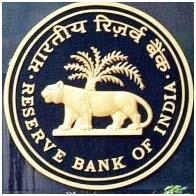 "Keeping in view the overall inflation and rise in agriculture input costs, it has been decided to raise the limit for collateral-free agriculture loans from Rs 1 lakh to Rs 1.6 lakh," the RBI said in the 'Statement of Developmental and Regulatory Policies' released after the sixth and last Monetary Policy Committee (MPC) meeting of the current fiscal. A circular to increase the limit would be issued shortly, it said and added the decision would enhance coverage of small and marginal farmers in the formal credit system. The RBI also set up an internal working group to review agriculture credit and arrive at a "workable solutions and policy initiatives". The RBI statement noted that although agricultural credit growth has been significant over the years, issues like regional disparity and extent of coverage have remained. "There is also the issue of deepening long-term agricultural credit for capital formation. To examine these issues and arrive at workable solutions and policy initiatives, an internal working group to review agricultural credit has been constituted," it said.